Sci-fi fans are notorious for coming up with wild costumes from obscure science fiction movies and costumes from the movie Logan's Run can be counted among them. Logan's Run is classic science fiction that continues to hold its own amongst the current and intensive special effects shows of today. The movie was released in 1976 with a broad spectrum of mass appeal much like Star Wars. The popularity of the film spawned a series and the current cult following has demanded a remake for 2010. Fans of the movie began to come out to the movie dressed in homemade costumes from the movie Logan's Run. The premise was simple: After a worldwide holocaust the survivors are forced to live in a domed city. All seems well except for one fact: life must end at 30. Logan, played by Michael York, is a Sandman; a police assassin. He is given the duty of leaving the confines of the domed city to find a place known as "Sanctuary" where citizens that have escaped the city now reside. Logan soon goes against his orders becoming a fugitive himself and along the way he meets Jessica, played by Jenny Agutter, who becomes his companion. Unlike films of today, the "futuristic" costuming was built around the idea that less is more. This approach made it simple for fans to make their own costumes and to expand on what the film and series did. The costuming resembled a lot of the "wild" clothing that was being worn in the disco clubs of the day and later became fashion of the early 80's, like off the shoulder tops and wide belts. Mainstream costume companies didn't reproduce costumes from the movie, but specialty shops in your town may have so check them out. Fans of the movie create props and costumes and then sell them as a collector's piece. There are others that specifically collect screen worn costumes and then sometimes sell them to other collectors. The other alternative is simple: make your own. The simplest place to begin is by finding pictures from the movie. 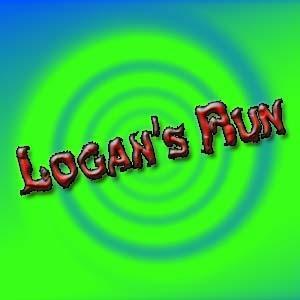 You can go to the International Movie Database and search for Logan's Run. There, you will find many cast and movie pictures that you can study. You can also use Google to search for "Logan's Run costume pictures". What we consider mundane and tacky today was state of the art material in the 70's. The costumes from the movie Logan's Run were made out of a lot of synthetic fibers like lycra and spandex. These materials were certainly considered "fashion forward". Satin was also used along with cotton and sheer materials. Most of the costumes for the movie were modified from pieces bought in retail stores like tunic shirts and wrap dresses. Once the base costume was discovered it was time to go for that distinct and futuristic look. From there the costumers would sew on patches of brightly colored fabric cut into geometric shapes to make them look futuristic. In order to make the costumes "pop" all that was needed was a light spray of adhesive and a dusting of glitter or sequins. Accessories also played a huge part in the finished product. Jewelry and belts were the perfect "finishing off" of the costumes. The bigger and more elaborate the better. For you to assemble your own Logan Run style costume you can first start by venturing out to a second-hand store or thrift shop and find your base color. Look for something very bright like lime green, reds and violets. Base colors like white and black are also important. Remember neutral colors as a base, color and flash as accents. Some of the costumes went completely the opposite direction so the discretion is up to you. Keep in mind that you don't need to pull off an exact replica from the film. When you decide what base you like cut up the opposite colors in geometric shapes that span an entire area such as across the neck, around the arm and across the chest. The trick is to make it look like it belongs and wasn't simply added. Men didn't really wear accessories as they wore the majority of the glitz and bling in clothing colors. Women went more for solids in their costume with hints of color but their accessories stood out. Wide metallic belts (you can always use gloss silver or gold spray paint) and large jewelry with lots of shine to them. Footwear for men was leather ankle boots that were popular in the late 60's and early 70's. Thrift stores may still carry a few of these. Women wore sandals with strands of fabric that wrapped up the calf and slippers. There are two main characters from Logan's Run: Logan and Jessica. These costumes make a great couples theme. As a Sandman, a sort of police officer, Logan's costume was simple and drab but he was seen primarily in the Sandman costume making it one of the most recognizable. The costume consisted of two pieces: a top and a bottom. The bottoms were simply a pair of black leggings or tights. No adornments needed although a thin stylish leather belt with a black chrome or silver buckle could be added for an extra pop. Black leather ankle boots were the order of the day. These may be tough to find but your best solution would be found at a thrift store. The top was a tunic-length (came down close to the thigh), black and long-sleeved with a banded collar. 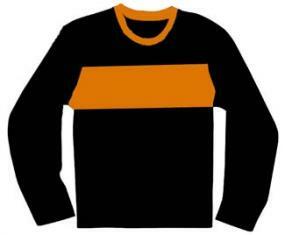 The top was accented with a 4-inch wide khaki stripe across the chest with the color of the banded collar matching. The bottom of the shirt had 3 rows of rolled fabric about 1-inch thick that went around the waist and were about 3-inches apart though this accent is not really necessary. The costume worn by Jessica in the movie is incredibly simple but may be hard to find at a thrift store. It was a one-piece thigh-length tunic with short sleeves that hung low and billowed out a bit. It was also a soft mint green with a piece of elastic sewn around the waist. The costume from the TV series was more dramatic and may be a more suitable choice. Purchase a sheer baby doll top that has ruffled sleeves and a light green shirt. Wear the baby doll over the shirt and you will get an effect that looks like light mint green. Her belt was the same color and you can twist sheer white material together with light green. White sandals much like those worn by the Roman's,complete with strands of fabric wrapped up the calf and ending just below the knee. Finish the costume off with large jewelry and colorful make-up. You can be as creative as you like, buying pieces to modify is a great way to do just that. If you want to be a traditionalist you could always obtain clothing patterns and make the entire costume from scratch.